Haven’t disabled the interoperability capabilities of their EHR. Have implemented their EHR without taking any actions to limit interoperability. Quickly respond to requests from patients and other providers who ask for information retrieval or exchange. CMS advises that no documentation is required to be submitted as part of the attestation. It also notes that while attesting providers aren’t expected to understand or enable the technical side of interoperability, it’s their job to let their implementers and EHR vendors know that they will be attesting and hold them accountable for enabling that capability. From Good-Time Charlie: “Re: Practice Fusion. I didn’t remember until your poll that they were even still around.” They are, but seemingly barely, well out of contention as an ambulatory EHR disruptor despite having raised $200 million from investors under that premise. ONC places Practice Fusion as the #9 most commonly used ambulatory EHR based on attestation data, which isn’t so good given that their product is free (and the products that follow them on ONC’s list aren’t really major-name EHR vendors). The company seemed unstoppable when doctors flocked to its product to collect $44,000 in Meaningful Use money in return for spending nothing, but the company’s business model was questionable, they were selling practice data in less-than-transparent ways (such as not naming who was buying it and for what purpose), its self-reported usage figures were head-scratching at times, and there was always the question of just how deeply practices engaged with the product since they had no skin in the game (no hardware cost, contract, training cost, etc.) The company fired founder and CEO Ryan Howard in mid-2015 right before a planned IPO, promoted a replacement with skimpy credentials for taking a company public, and largely fell off everyone’s radar. From Dinky McQueen: “Re: GE’s rumored discussion about selling its healthcare IT business. Is it everything from Centricity on down, or just smaller, unaligned divisions such as the GE-Intel Care Innovations JV?” I haven’t heard specifics but would be interested. The health IT business includes the many products labeled as Centricity, workforce management (the old API Healthcare), Health Cloud, diagnostic-related software, and some analytics stuff. It’s hard sometimes to figure out where healthcare IT begins given the overlap with the company’s diagnostic business, which I assume won’t be dealt off. GE has built a poorly managed, unfocused portfolio of acquisitions that will be hard to sell off to a single buyer, which will probably elongate any process to make its unlamented healthcare IT exit. From Just Saying: “Re: speech recognition. You mentioned years ago using speech recognition to write HIStalk. Do you still do that?” I don’t. Three or so times I bought the latest version of Dragon and got excited about how much easier it was to “write” HIStalk by talking instead of typing, but the sheen wore off due to Dragon’s heavy system usage, occasional mysterious errors that lost what I had dictated, and the time required for me to fix its mistakes (nearly always caused by my not articulating crisply enough). 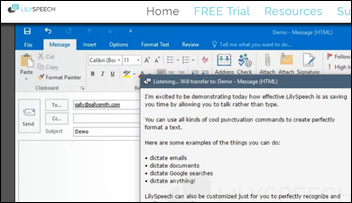 I’m thinking about trying again with LilySpeech, a cloud-based system that uses Google’s speech-to-text system. I don’t need voice-controlled system automation – I just want to dictate into a text box and paste the result into my editor or Gmail. I’ll give the 30-day free trial a shot. I enjoyed reading a recent interview with freshly named economics Nobel winner Richard Thaler and was therefore happy to see his “Misbehaving: The Making of Behavioral Economics” pop up as a free Prime Reading Kindle book this week. I was engrossed and entertained by it, to the point that I ordered a softcover version (at full price) just so keep it handy and to be able to lend it out. This book and his earlier “Nudge” explain why humans don’t always follow rational economic thought, which of course has healthcare implications along with big-time business impact. I highly recommended the first book and will no doubt do the same for the second once I’ve read it. He’s a great explainer and pretty funny besides. Meditech announces Q3 results: revenue up 9.8 percent, EPS $0.47 vs. $0.68. Product revenue jumped 50 percent, but a slight drop in services revenue and an 18 percent increase in operating expense drove earnings down 31 percent. Roper Techologies (Sunquest, Strata Decision Technology, Atlas Medical, Data Innovations, CliniSys) announces Q3 results: revenue up 23 percent, adjusted EPS $2.36 vs. $1.96, meeting revenue expectations and beating on earnings. 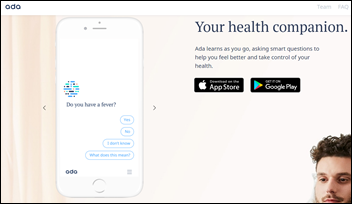 Germany-based Ada Health, which offers consumers an AI-powered health chat app that also connects users to doctors, raises $47 million and announces plans to open a US office. 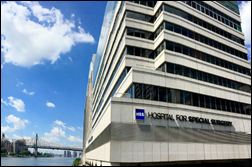 Hospital for Special Surgery (NY) will expand its use of Docent Health to provide customized, whole-person support that addresses each patient’s needs, fears, and concerns. 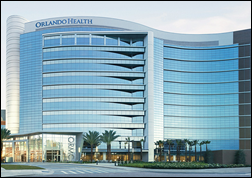 Orlando Health chooses Phynd to manage the information of 25,000 providers across nine hospitals. Geoff Hogan (Imprivata) joins Diameter Health as chief commercial officer. Impact Advisors promotes VPs Paula Elliott and Bill Faust to leadership roles over its quality services and strategic implementation services practices, respectively. 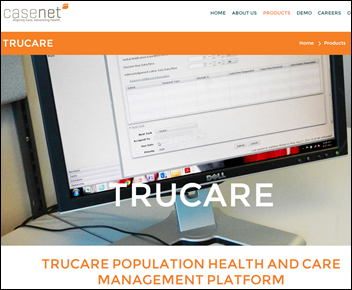 Casenet’s TruCare is named Best Population Health Management Software Provider in a UK healthcare and pharmaceutical awards program. HIMSS announces that Alphabet Executive Chairman Eric Schmidt will deliver the opening keynote at HIMSS18 in the “still seems weird” time slot of Monday, March 5 at 5:00 p.m. PT. Schmidt provided the very long keynote at HIMSS08 in Orlando, where he pitched since-failed Google offerings like Health and Flu Trends. Politico reports that HHS privacy leader Deven McGraw, JD has left government service to join an unnamed Silicon Valley health technology startup. Publicly traded, Cincinnati-based Chemed, which owns the country’s largest for-profit hospice chain, will pay $75 million to settle False Claims Act charges that it billed Medicare for services involving patients who were not terminally ill and paid its employees bonuses for recruiting new patients. Three whistleblowers will share in the payout. Trivia: Chemed’s other big holding is Roto-Rooter. Vanderbilt University Medical Center (TN) will go live on Epic this week. The April 1 Cerner go-live at Medical Center Health System (TX) led to billing delays that left it behind for the fiscal year ending September 30. A consultant’s report says that hospital executives blamed staff for lack of commitment and not paying attention during training, but most employees said that training was insufficient for doing their jobs. 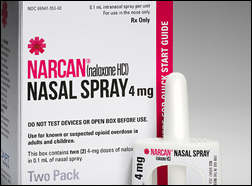 A study finds that 10 percent of Massachusetts residents who were revived from opioid overdoses with rescue drug Narcan died within a year, highlighting that only five percent of overdose survivors receive longer-term treatment drugs such as Suboxone. Brilliant: a company in Japan gives non-smokers an extra six days of vacation, both as an incentive for smokers to quit and to give non-smokers the same amount of non-productive time enjoyed by smokers. Weird News Andy helpfully notes that maybe the patient should have considered flossing. 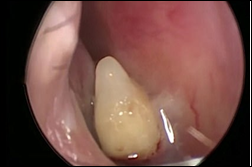 Doctors examining a woman with a decades-long history of nosebleeds believed to be caused by rhinitis finally determine the cause – a fully grown tooth embedded in her nasal cavity. Dentists say “supernumerary teeth” can grow in odd spots on the face in the 4 percent of people affected, but having them erupt in the nasal cavity is extremely rare. Meditech, which has 20 customer sites in Puerto Rico, donates money to United for Puerto Rico. AdvancedMD will exhibit at APTA’s Private Practice Section event November 1-4 in Chicago. HIS 2017 recognizes Agfa Healthcare in the IT Industry category – RIS and PACs during its annual awards ceremony. Bernoulli Health will exhibit at HealthAchieve November 6-7 in Toronto. Besler Consulting will present at the Minnesota HFMA Regulatory Conference November 2 in Bloomington. CSI Healthcare IT completes the first wave of Epic go-lives at Lovelace Health System (NM). Clinical Architecture will exhibit at the AMIA 2017 Annual Symposium November 4-8 in Washington, DC. CoverMyMeds, CTG, and Cumberland Consulting Group will exhibit at the CHIME Fall CIO Forum October 31-November 2. 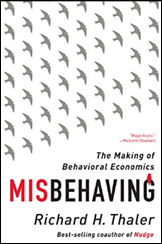 Just wanted to second your opinion on “Misbehaving”- one of the most entertaining non-fiction books I’ve read in years.